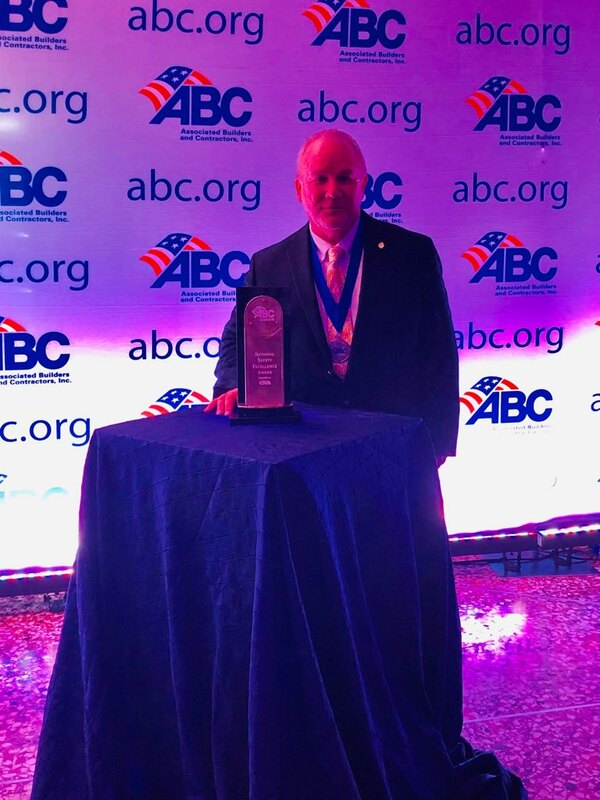 MIDLAND, MICH. – Representing Three Rivers Corporation, Paul Crivac, Safety Director, accepted the Associated Builders and Contractors National Safety Excellence Award at the 29th Annual Excellence in Construction Gala on March 27, 2019 in Long Beach, California. Three Rivers outperformed contractors from around the nation to win this prestigious award and was the only company honored from Michigan in this category. This award demonstrates that Three Rivers Corporation is dedicated to working safe. The ABC National Safety Excellence Award recognizes companies who exhibit a continued commitment to jobsite safety and whose safety performance and programs are judged to be exemplary by the ABC National Environment, Health & Safety (EH&S) Committee. Awards are based on data submitted via STEP applications, essay questions and video interviews with company Presidents/CEOs/Principals about their corporate safety culture. Award categories are based on a company’s total work-hours per calendar year and placement within the North American Industry Classification System (NAICS). “We are honored to achieve the National Safety Excellence award. Safety is part of who we are and receiving an award like this demonstrates that when our company works together, we can achieve great things. I am very proud of the women and men who earned this award and their commitment to safety at Three Rivers,” said Paul Crivac. Colin Dole represented Three Rivers in the National Craft Championships competition on March 27th, as a pipefitter. Craft apprentices come from across the country each year to compete for top honors in their chosen craft. For the competitors, this competition allows them to demonstrate their superior skills, training and safe work practices. This is an intense, daylong, hands-on skills competition. 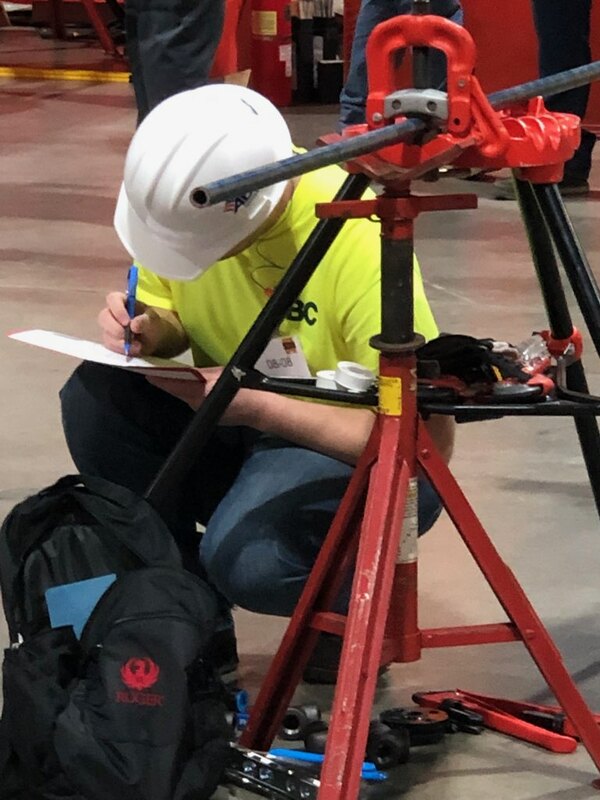 “The quality, craftsmanship, dedication, and safety Colin displayed during the National Craft Championships competition this year was truly remarkable. With the skilled labor shortage we are very lucky to have such talented people on our team,” said Jon Lynch, President of Three Rivers Corporation.